More and more Hongkongers are turning to meditation to forget the stresses of everyday life, find balance and nurture inner peace. We find Hong Kong's top places that offer guided meditation sessions, so you can concentrate solely on your practice and your breath—after all, isn't that what meditation is all about? This newly opened meditation studio hosts multiple guided meditation sessions per day, each varying in technique but all equally effective in helping you find inner serenity, bliss and a more positive outlook. Ranging from tea ceremonies to reiki and energy balance, there's no question that this dedicated mindfulness studio will be a leader in Hong Kong's growing population of peace seekers. This charming space, which sits in a rare car-free street in Sheung Wan, induces instant calm. As well as yoga, Kita offers a series of meditation classes to suit varying needs; be it a mantra meditation class to set intentions, or mellow breathing exercises by candlelight to relieve stress for a blissful night's rest. Kadampa, a peaceful Buddhist meditation centre near Victoria Park in Causeway Bay, hosts "meditation and advice for everyday life" sessions every Tuesday evening. They are free, but a donation is encouraged. Meditation classes specially designed for children are also on offer. If you want take your practice to the next level, Kadampa also offers weekend courses, meditation retreats, chanted prayers and special events with senior guest teachers. While Kadampa teaches Buddhist meditation and philosophy, all—including non-buddhists—are welcome. Red Doors Studio in Wong Chuk Hang offers a serene setting for sound healing through gong bath meditation. "The sound of a meditation gong induces a state of spontaneous meditation and relaxation, which facilitates the movement of chi or prana (positive life force) throughout the body," explains founder Martha Collard, who brings this ancient technique into modern times to help you rebalance, relax and rejuvenate. One of the city's most authentic yoga studios, Anahata boasts a roster of teachers who have been living a yogic lifestyle and following yogic philosophy since childhood. 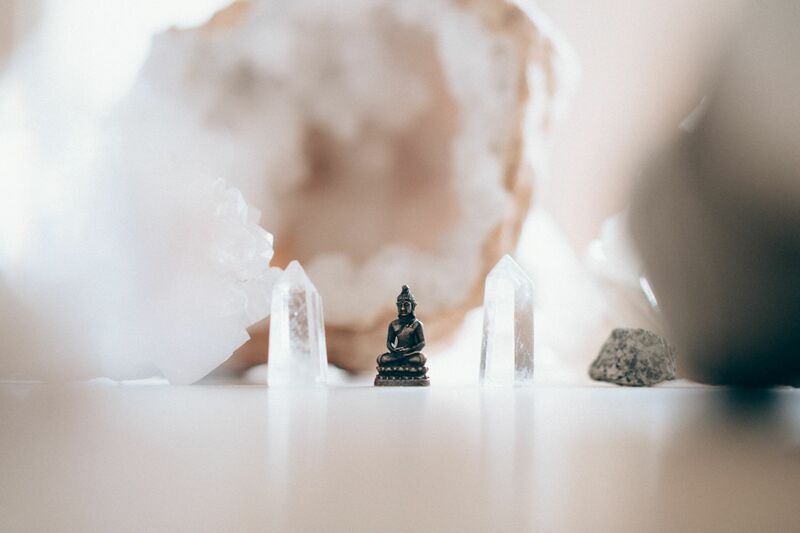 As well as yoga classes that stretch the mind and body, Anahata has a number of weekly guided meditation sessions. Honing easy-to-follow meditation techniques to open your energy centers, these classes are designed to improve concentration, memory and confidence. Recognised as one of Hong Kong’s first natural alternative clinics, Balance Health has been at the forefront of the city's move towards mindfulness. As well as alternative therapies like natural medicine and physical treatments, this cosy space on Arbuthnot Road offers a number of practices to aid mind-body connection, including group meditation classes that range in approach, fromTibetan Buddhist and Tibetan singing bowls to hypno meditation. This light-filled space on Tai Ping Shan Street provides the perfect setting to shed layers of fear, anxiety and conditioning to rediscover your most authentic self. Join a guided meditation by Karson Wong, a Mindfulness-Based Stress Reduction (MBSR) teacher who offers 8-week MBSR programs and other mindfulness training courses in English and Cantonese for the general public. His sessions take place every Tuesday and Wednesday at WeWork Wanchai and WeWork Taikoo, with proceeds going to various charities.